Ayurveda is the ancient Indian holistic medical system, based on achieving physical and mental harmony with nature, which has been practised for more than 5000 years. Ayurveda means “science of life” (“Ayu” meaning life and “Veda” meaning science), and was first recorded in the Vedas the world’s oldest surviving literature. All early Ayurvedic writing is based on the Samkhya or Sankhya philosophy of creation (“Sat” meaning truth and “Kha” meaning to know). Ayurveda was created during a time of great enlightenment, when the sages of ancient India discovered truth by means of religious practices and disciplines, including Yoga and meditation, techniques that are being increasingly appreciated in the West today. They believed in a close relationship between man and the universe and the flow of cosmic energy in different forms between all living and nonliving things. Body Studio is a unique personal training space in the heart of Shoreditch, nested under the railway arches on Rivington Street. We are more than your an average East London gym, we are an urban retreat who’s sole purpose is to transform and support our clients. includes a relaxing face massage and is completed with a foot scrub, file and paint. COMO Shambhala follows a healthy living philosophy that takes its inspiration from mythological roots: in ancient Buddhist texts, ‘Shambhala’ refers to a sacred place of bliss. COMO Shambhala proposes that such tranquillity need not to be found in any specific location but with the right tools, it can be discovered within oneself, by exploring body, mind and spirit. The Feldenkrais Method is for anyone who wants to reconnect with their natural abilities to move, think and feel. Whether you want to be more comfortable sitting at your computer, playing with your children and grandchildren, or performing a favorite pastime, these gentle lessons can improve your overall well being. It has also been updated recently, so it’s worth coming here for the calm and restful atmosphere. 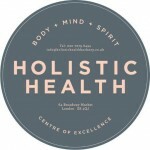 Holistic Health is a unique complementary health clinic located in the heart of Hackney – one of the capitals most cosmopolitan enclaves. Within this bustling area Holistic Health offers a haven of calm – somewhere our clients come to unwind and re-align themselves, somewhere they can ease away the stress of modern life through a fabulous arrange of complementry techniques and treatments. Inner Space is a meditation and personal development centre in Covent Garden, often referred to as ‘London’s oasis of calm and insight.’ They run regular courses, seminars and meditations in Covent Garden and in the City. They also organise talks in the West End, Camden, Angel, Clerkenwell and Covent Garden. Meditation sessions are held at lunchtimes, but you can also visit their quiet rooms in the basement during opening times.